Love, Mrs. Mommy: 2 Winners! Photo Engraved Bracelet from PicturesOnGold.com Giveaway! 2 Winners! 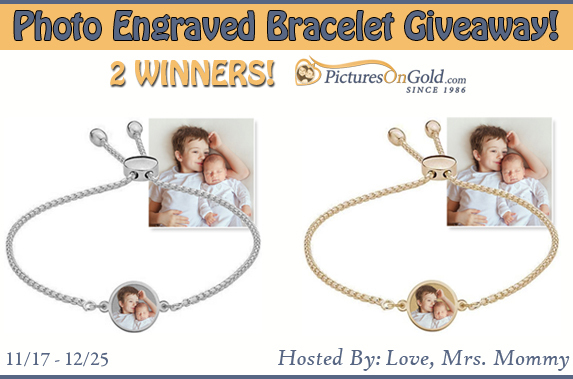 Photo Engraved Bracelet from PicturesOnGold.com Giveaway! I would love one for each of my daughters! This would make such a beautiful keepsake for any mother!